Cornball Cartoon Cold Warriors: Rocky and Bullwinkle kept kids entertained by regularly thwarting the Soviet-eseque “Pottsylvanian” spies Boris Badenov and Natasha Fatale. Image courtesy of Wikimedia Commons. “Mr. Chairman, I am against all foreign aid, especially to places like Hawaii and Alaska,” says Senator Fussmussen from the floor of a cartoon Senate in 1962. In the visitors’ gallery, Russian agents Boris Badenov and Natasha Fatale are deciding whether to use their secret “Goof Gas” gun to turn the Congress stupid, as they did to all the rocket scientists and professors in the last episode of Bullwinkle. Another senator wants to raise taxes on everyone under the age of 67. He, of course, is 68. Yet a third stands up to demand, “We’ve got to get the government out of government!” The Pottsylvanian spies decide their weapon is unnecessary: Congress is already ignorant, corrupt, and feckless. That joke was a wheeze half a century ago, a cornball classic that demonstrates the essential charm of the Adventures of Rocky and Bullwinkle and Friends, the cartoon show that originally aired between 1959 and 1964 about a moose and a squirrel navigating Cold War politics. 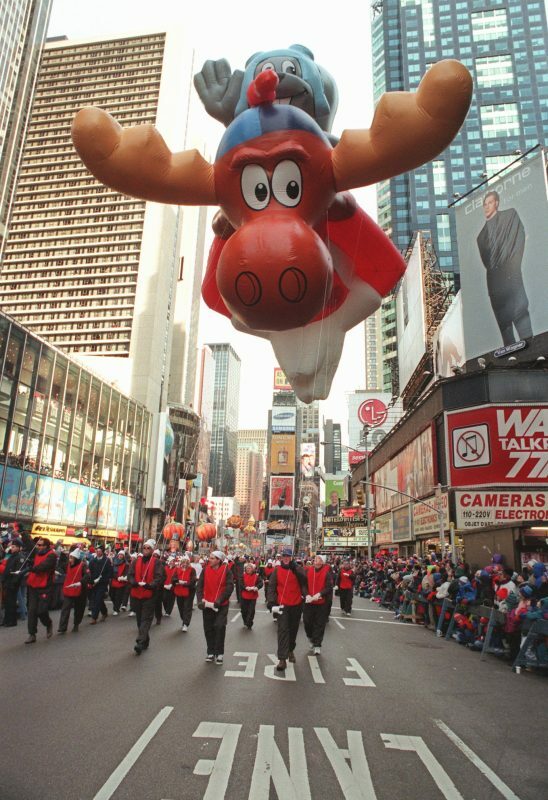 High-flyin’ duo: Giant balloons of Rocky and Bullwinkle soar over Broadway in Manhattan during the Macy’s Thanksgiving Day Parade, Nov. 28, 1996. Photo by Doug Kanter/Associated Press. I’ve been wistful about the show of late, as I’m sure many of my generation are. Last month, we lost the great June Foray, the voice of Rocky the Flying Squirrel and many others. Her passing gave me pause to reflect on how important the show was during my formative years and how far-reaching its influence is on satire today. 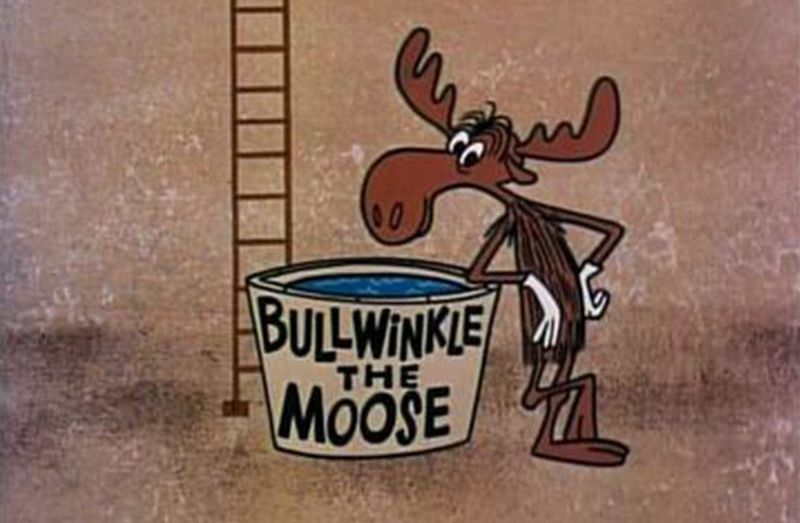 Bullwinkle was, like so many of the really good cartoons, technically before my time (I was born the year it ended). My sister and I caught it in syndication as part of our regular weekend cartoon lineup of Looney Tunes, Jonny Quest, and The Jetsons, from elementary through high school. It wasn’t that Bullwinkle the character was especially compelling. He was an affable doofus with a loyal heart, if limited brainpower. Rocky was the more intelligent straight man: a less hostile Abbott to Bullwinkle’s more secure Costello. They were earnest do-gooders who took every obviously shady setup at face value. Their enemies were far cleverer, better resourced, and infinitely more cunning, but Rocky and Bullwinkle always prevailed. Always. For absolutely no good reason. It was a sendup of every Horatio Alger, Tom Swift, plucky-American-hero-wins-against-all-odds story ever made. What we didn’t know in the ’70s, when we were watching, was that this was pretty subversive stuff for a children’s program made at the height of the Cold War. Watching this dumb moose and his rodent pal continually prevail against well-funded human saboteurs gave me pause to consider, even as a kid, that perhaps it is a silly idea to believe that just because we’re the good guys we should always expect to win. The animation was stiff but sweet, the puns plentiful and painful. The show poked fun at radio, television, and movie tropes, and took playful aim at Cold War spycraft. Part of the fun was that Bullwinkle wasn’t a regular cartoon, but an animated half-hour variety show. And variety shows used to be so much of a thing that I am stunned there is no niche cable network devoted to them today. Every episode of the Bullwinkle show featured two cliffhanger segments in the adventures of Bullwinkle J. Moose and Rocket J. Squirrel, pitted against master spies Boris and Natasha, all narrated breathlessly by erstwhile radio star William Conrad. Between each serial installment were stand-alone features, including Peabody’s Improbable History, wherein Mr. Peabody, a genius dog, and his pet boy, Sherman, travel through time to make terrible puns; Fractured Fairy Tales, updated twists on Grimm Brothers classics; Dudley Do-Right, a parody of silent melodramas starring a cleft-chinned Canadian Mountie; and Aesop & Son, modernized versions of Aesop’s fables as told by Charlie Ruggles, star of silent and classic films. Other features included Bullwinkle’s Corner, an over-enunciated poetry reading, and Mr. Know-It-All, in which Bullwinkle tries and fails to teach us something. 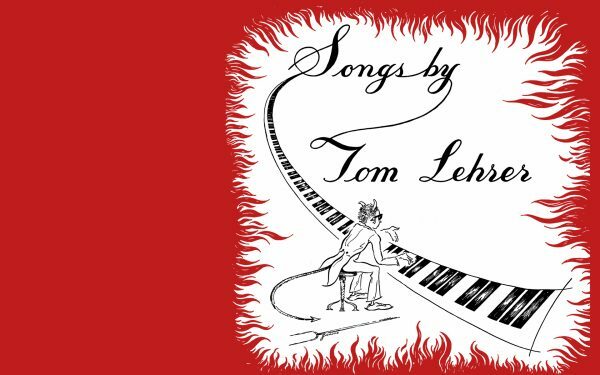 Tom Lehrer’s topical, bitingly satirical songs exemplified a dark vein of humor that ran through the Eisenhower-Kennedy era. Image courtesy of Lawrence/Flickr. The variety show format enabled three things. First, its gloss of adult sophistication completely undercut by silliness was incredibly attractive to me and my sister. Secondly, it got us to delight in the work of a revolving cast of top-notch, old school voice actors who’d grown up in radio and knew how to sell a line. June Foray, for example, is the common thread that weaves together the everyman fast-talkers of Warner Bros. films (she voiced Granny and Witch Hazel for Looney Tunes), the pop culture and political satire of Stan Freberg, and the Cold War kiddie fare of Bullwinkle (as Rocky, Nell Fenwick, Natasha, and more). Fractured Fairy Tales were narrated by veteran actor Edward Everett Horton, a Warner Bros. stable favorite, and featured Daws Butler (Elroy Jetson), a Stan Freberg comedy show veteran, along with Paul Frees and June Foray. Before giving voice to Dudley Do-Right’s nemesis Snidely Whiplash, Hans Conried was better known as Captain Hook in Disney’s Peter Pan, as well as for his years’ long yeoman’s work on radio mystery shows, I Love Lucy, and Burns and Allen. Finally, the show’s format and depth of talent connected my sister and me to a world of comedy that was well before our time, but helped us navigate what came afterwards. Apart from Sesame Street and The Electric Company (whose cast was a gift to future Broadway lovers) the cartoon landscape during the 1970s was bleak. I don’t know what happened during the Summer of Love to cause formerly respectable shops like Hanna-Barbera to go from Jonny Quest to Captain Caveman and the Teen Angels, but it can’t have been pretty. In those grim years when cable was not yet available to the common man and one had to physically get up to change the channel (or make one’s sister do it), we relied on three networks, a local PBS affiliate, and a couple of random UHF stations for our home entertainment. By setting the contemporary junk fare right up against reruns of infinitely better material, regular television gave my sister and me a great education in quality satire, voice recognition, and genius parody. There was also the added benefit of our mother’s healthy collection of comedy albums—Stan Freberg, Tom Lehrer, Nichols & May, and vintage Woody Allen—all of which are of the same era as Bullwinkle and feature some of the same performers. My parents and these comedians belong to the so-called “Silent” Generation—that cohort born between 1925 and 1945—too young to be the Greatest and too old to be Boomers. 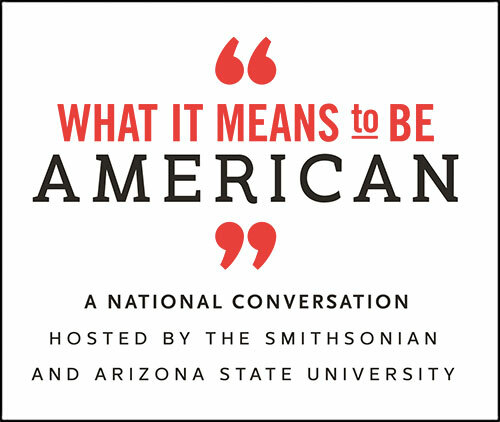 Born during times of economic insecurity, this group came of age during the McCarthy Era and is marked, understandably, by a desire not to rock the boat too much. While they weren’t as culturally radical as the Boomers of the ’60s, the artists and cultural provocateurs of the Silent Generation loved to take a whack at the Eisenhower status quo, not to mention psychoanalysis and the Bomb. 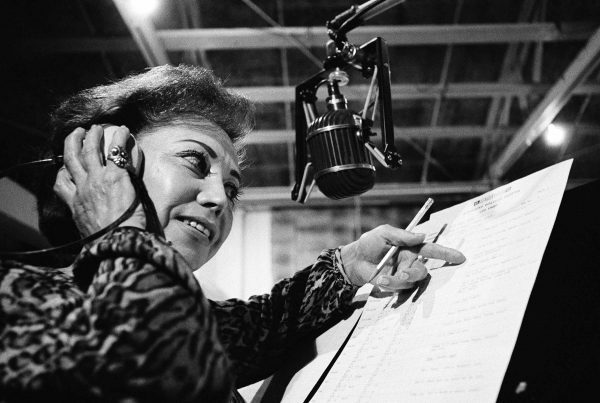 The late June Foray, shown on the job on Nov. 2, 1967, gave voice to Rocky the Flying Squirrel, babies, birds, cackling witches, and many other animated characters. Photo by George Brich/Associated Press. Because we loved these old records and shows, my sister and I ended up singing along with Tom Lehrer about German rocket scientist Wernher von Braun (about whom we knew nothing), did the Vatican Rag and the Masochism Tango (ditto). And so, through Bullwinkle, we were granted access to nearly a century’s worth of comedy and satire, three generations of backhanded patriotism tempered with gentle skepticism going back to vaudeville, a sort of atavistic psychic tool chest for navigating strange and scary times. Bullwinkle was there when PBS pre-empted all programming to air the Watergate hearings in the summer I was eight, my last before sleepaway camp. At P.S. 19, we were still having bomb drills and the Cold War was still very much on, as was a hot war in Vietnam, but there was no recognition of these facts in the Archies or Hong Kong Fooey. Bullwinkle’s playful critique lives on today in Spongebob and The Simpsons, shows whose creators openly acknowledge their debts. (Spongebob’s Squidward’s voice is Ned Sparks; Plankton is Walter Brennan. All the male Simpsons have Bullwinkle & Rocky’s middle initial “J.”) These shows are a loving critique of the ways that American ideals and American reality are often out of whack. Beth Daniels writes a classic movie blog and watches entirely too much television.